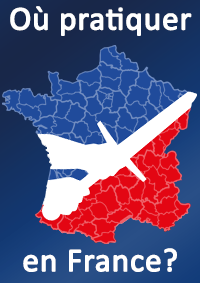 The French Federation for Historical European Martial Arts (Fédération Française des Arts Martiaux Historiques Européens – FFAMHE) was founded in 2011 as a gathering of Historical European Martial Arts (HEMA) practitioners. The FFAMHE aims at developing and promoting HEMA in France and supporting its community. This community originated in the late 1990s, thanks to the visibility of the FFAMHE and the hard work of its members, has grown rapidly and is now diverse in terms of club structure, size and studied arts. These range from sword and buckler to smallsword, and includes various longsword, rapier, sabre and unarmed arts traditions. More “exotic” weapons such as bayonets, halberds, poleaxes and sickles are also studied. Some groups and individuals focus mainly on studying historical documents and provide translations to the community, whereas others essentially do interpretative work and have a more sports oriented approach to HEMA. As of early 2018, more than 70 clubs and approximately 1500 practitioners nationwide are gathered under the FFAMHE banner. The FFAMHE is a founding member of the International Federation of Historical European Martial Arts (IFHEMA), created in 2014. Should you be traveling to France or staying a while for business, do not hesitate to contact the nearest club and join in for a training session. You will find on this webpage some FFAMHE documents which were translated in English.